The school year is ending and, in my house, it’s the time that my kids sit down and write thank you notes to their teachers (yes, even my high school senior!). Educators work hard all school year long – for very little pay – and deserve some recognition for all that they do. Presents are great, but hand-written thank yous are a lost art and mean so much to the receiver. Thank you notes and thank yous in general are a big deal to me. I was raised that way but I also see notes as a physical manifestation of my gratitude and my way of keeping the love flowing. I like to thank people with notes for all kinds of things: dinner parties, media coverage, and of course, presents I’ve been given. Thanking people in person is special too! However you do it, JUST DO IT. And get your kids to do it too! As summer rolls in, I like to take a bit more time to read and enjoy life. There are some great books out right now, such as my friend Katherine Center’s new bestselling book, How to Walk Away. It’s super fun, breezy reading! And there are three women whose words always give me a lift and make me ponder. I'm on their email lists and read their blogs as often as I can. 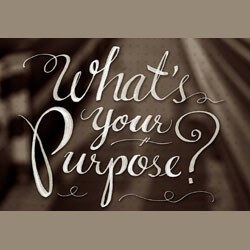 Click on the blog name for a link is to their most recent edition: Maria Popova's "Brain Pickings"; Maria Shriver's "Sunday Paper"; and Krista Tippett’s "The Pause". Enjoy and happy summer reading! Hey parents! Summer is here, ya’ll! 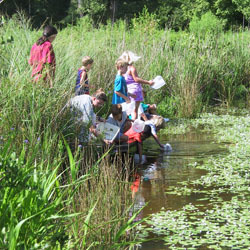 If you need information on summer day camps for your kids, doncha worry – I’ve got you covered. Check out my guide, THE SUMMER BOOK® ONLINE: A GUIDE TO HOUSTON DAY CAMPS AND CLASSES FOR KIDS & TEENS, at the easy-to-remember website, www.DayCampsHouston.com. You can search through over 200 camps by age, area of town, cost, and much more. My latest summer camp blast is here – check it out for my CAMP PICKS. There are so many great ones out there. Be sure to take a look at this week’s VIDEO PICK. I sat down with Deborah Duncan of Great Day Houston and chatted with her about what’s happening this weekend. Whew! There are a lot of events (as always). If you have not seen “Black Panther,” yet – please do very soon! I’m not a fan of Avengers movies but I LOVED it, not only for the story but also for the emphasis on Black power. The Children’s Museum of Houston loves it too and are hosting a “Black Panther Bash” this Saturday, June 2 from 10am-5pm. 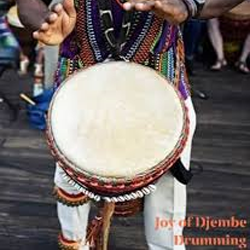 The Joy of Djembe Drumming kicks it off at 10:30am with a performance and “instrument petting zoo”; following that will be activities all day long. I’ll be at the Museum next Wednesday, June 6, 10am-noon for the final “Mommy Mingle” until September so stop by and say howdy. 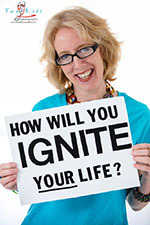 I’ll have information about events for families and summer day camps for children. Amazingly, it’s the 20th anniversary of the Art Car Museum! 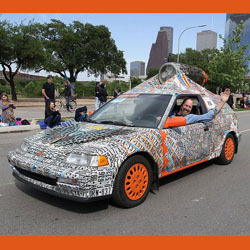 This Saturday, June 2, 7-10pm, founders Ann and James Harithas are proud to commemorate the event with “Celebration of Art Cars!” – a show emphasizing those wacky rolling creations and car-related art. It will be on view through August 27 and features these cars: “Hairse Cataillic” (Susan Venus); “Wendell” (Joe Hale Haden, pictured); “Milan Car & Faith” (David Best); “Phantoms” (W.T. Burge); “Lost Worlds” (Noah Edmundson); and “Cigs Kill” (Alex Harrah). The Museum is open Wednesdays through Sundays from 11am-6pm and is always free. The weather right now is decent (hey, at 90 degrees, it’s a cold front!) 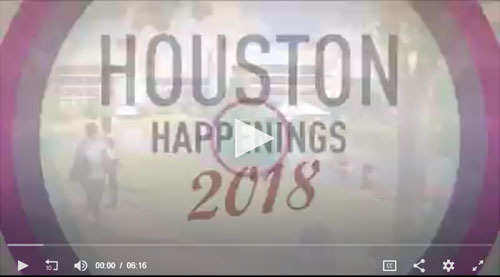 so take some time before it heats up to explore nature in our city – start out with the handy dandy website Get Out Here Houston; you’ll find events, maps, organizations, and more all in one place. Several outdoor spots in Houston are perfect for kids – Miller Outdoor Theatre; Houston Arboretum & Nature Center; Discovery Green; Mercer Botanic Gardens; and Lake Houston Wilderness Park. All are free, except for the Lake Houston Wilderness Park, which is the City of Houston’s only overnight park and entry fees start at $3/person. 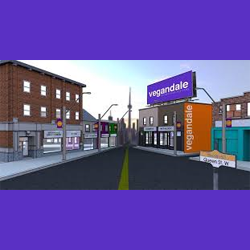 The Vegandale Food Drink Festival is a coolio, planet-friendly, vegan-focused event that is traveling from Toronto to only three other cities, including Houston (we’re in the company of Chicago and New York! ); more info about the Houston portion is here. It’s taking place this Saturday, June 2 from 11am-7pm at Sam Houston Park, 1100 Bagby Street, and tickets are $15 (note: food and drinks are sold separately). “The Hills Are Alive!” is a brand-new production of “The Sound of Music” and the Society for the Performing Arts is bringing it to Jones Hall this Friday, June 1 through Sunday, June 3, with 5 shows (so there’s no excuse to miss it!). I can sing every song and will have to restrain myself from breaking out in song! 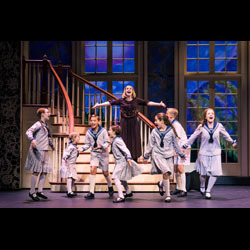 The beloved musical story of Maria and the von Trapp Family was inspired by The Story of the Trapp Family Singers, a book written by Maria Augusta Trapp and published in 1949. It’s time for the annual HAAPIFEST, a free film festival which will run through June 8. 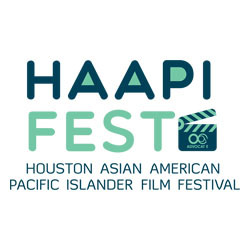 Started in 2004 by OCA-Greater Houston, the Houston Asian American Pacific Islander Film Festival, or HAAPIFEST, was created to highlight and celebrate the diversity of AAPI culture, food, and family; to support AAPI artists and filmmakers; and to share the untold AAPI experience for the greater Houston metropolitan area through edu-tainment. It’s an immersive, multi-day celebration of film, music, and art, showcased by a dedicated committee of volunteers.